Convertion from Solex 32 TDID to Weber 32/36 DGV with manual choke. 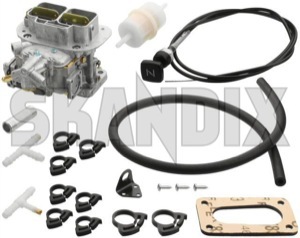 The throttle lever must be converted from the old carburettor and it is possible that it must be changed. Please choose an air filter from the recommende accessories.